Το επόμενο διάστημα έχουν προγραμματισθεί δυό ενδιαφέροντα συνέδρια για τις Βιώσιμες πόλεις. Είναι σημαντικό για τους διαχειριστές των υποθέσεων των πόλεων, η συμμετοχή σε παρόμοια συνέδρια για ανταλλαγή απόψεων και εμπειριών. 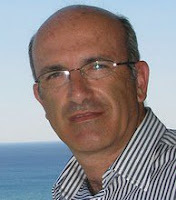 Το πρώτο , με θέμα Global City 2010: city identity & values as drivers of sustainability θα γίνει στο Abu Dhabi, από 11-13 Απριλίου 2010. Σύντομη περιγραφή :Taking place in Abu Dhabi for the second year running, the 2010 edition of the ‘Global City Forum’, will look at the values that make up the identity of a sustainable city. Participants will review best practice from cities around the world and together define the key elements of a sustainable city. Successful city management is able to stimulate growth in harmony with local city character. The challenge for planners and city managers is to preserve and improve the city’s identity while at the same time making it attractive to developers, investors as well as to visitors and creative talent. Global City is an international forum for urban decision-makers to discuss practices on building sustainable cities. Σύντομη περιγραφή :This Conference aims to address the many inter-related aspects of the urban environment from transport and mobility to social exclusion and crime prevention. The meeting will build on the contributions made in previous conferences, which successfully managed to provide an international view of the problems facing modern cities and their solutions. 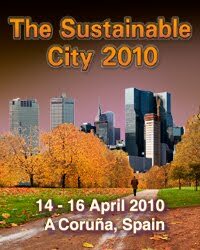 The Sustainable City 2010 will be of interest to city planners, architects, environmental engineers and all academics, professionals and practitioners involved in the wide range of disciplines associated with creating a sustainable urban environment.